The Walking With You Video Series are short videos that cover a range of topics and are also available on the GAPS YouTube channel. Please enjoy this latest installment or view the Walking With You video archive. 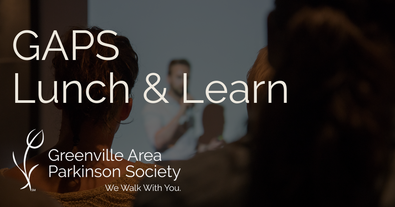 Expert presentations on topics ranging from nutrition and exercise to the latest research as these relate to those people living with Parkinson’s Disease. view the Lunch & Learn archive. This program reaches out to those members still active in the workforce and the community! This monthly social night is a fun way for everyone to come and meet other active PD members, our board, volunteers, and staff. Watch below to see and hear our members and caregivers share their thoughts and enjoyment of GAPS Social!